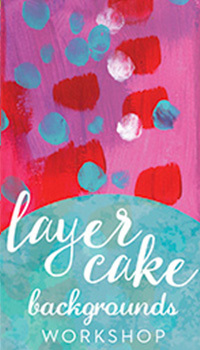 There is nothing like this set of 18-6 x 9” sheets of printed mixed media paper and 6 sheets of tracing paper. 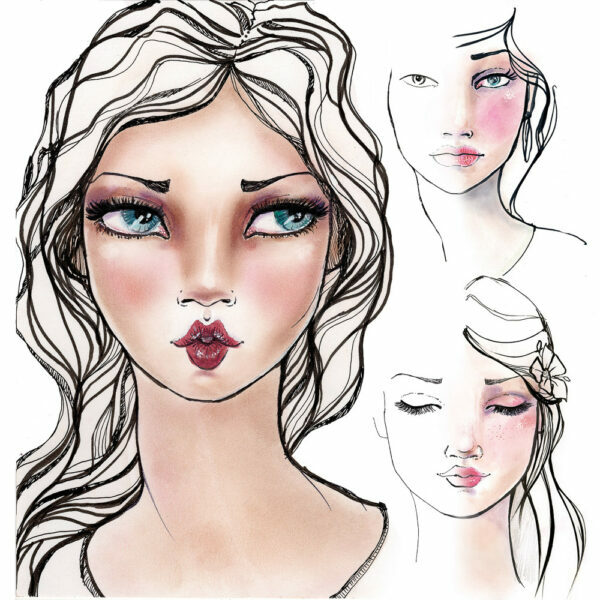 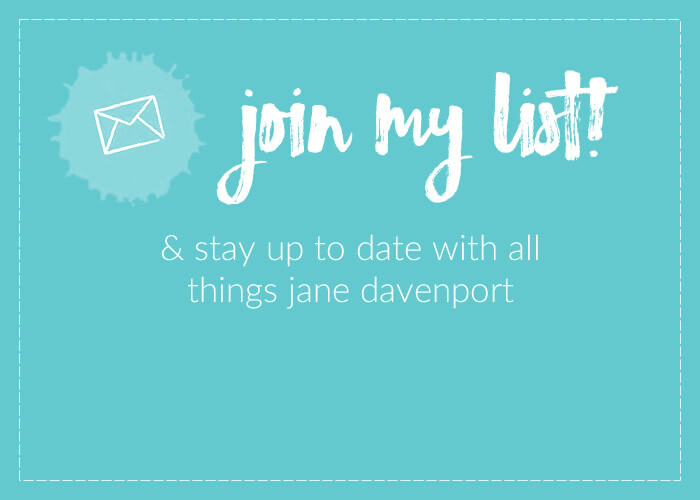 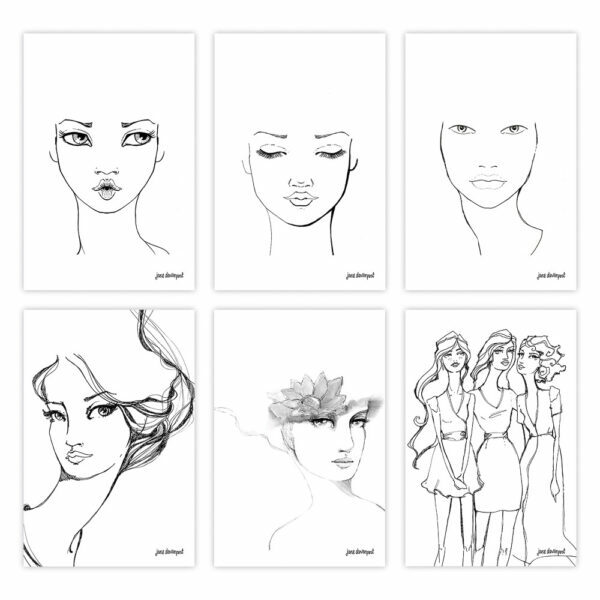 Just like a makeup artist, use the face charts to practice your shading skills with the products from Jane’s Making Faces collection. 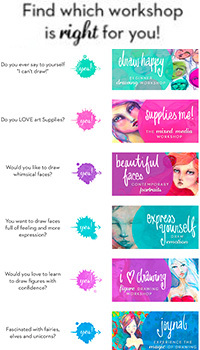 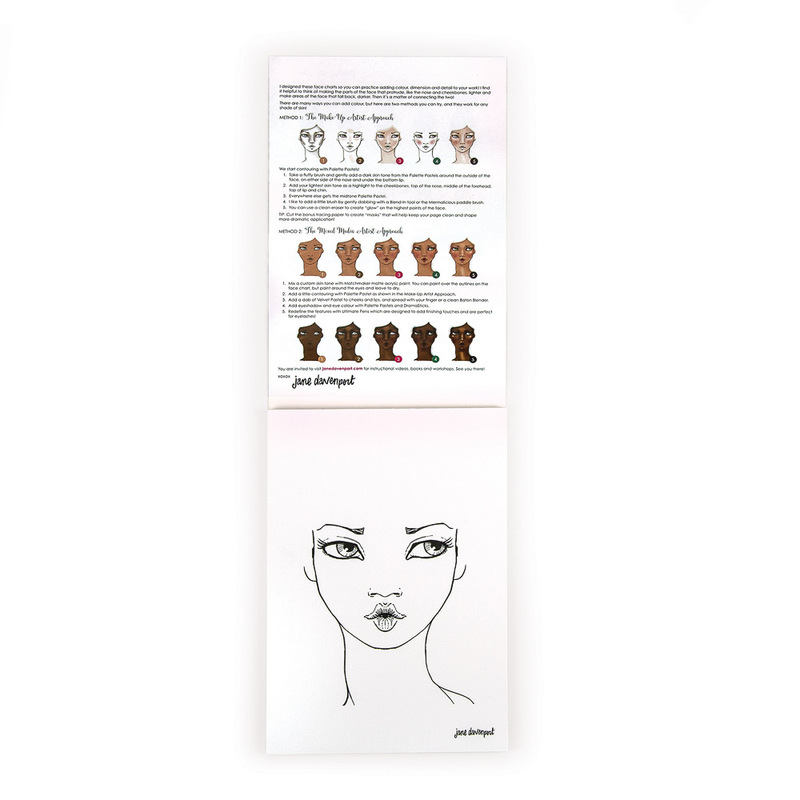 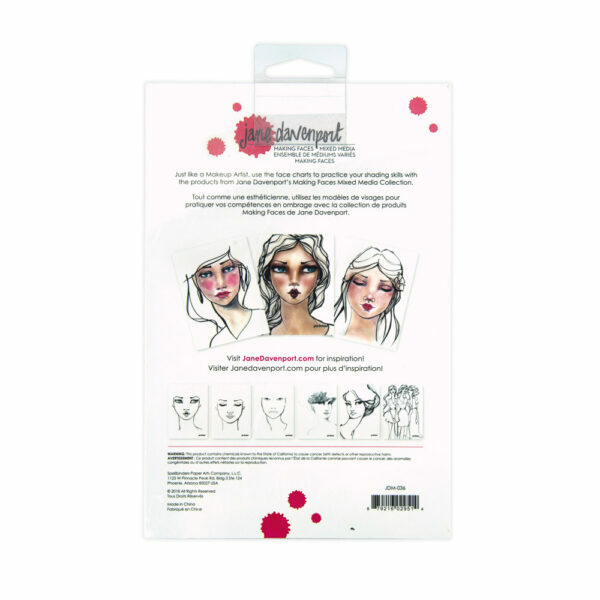 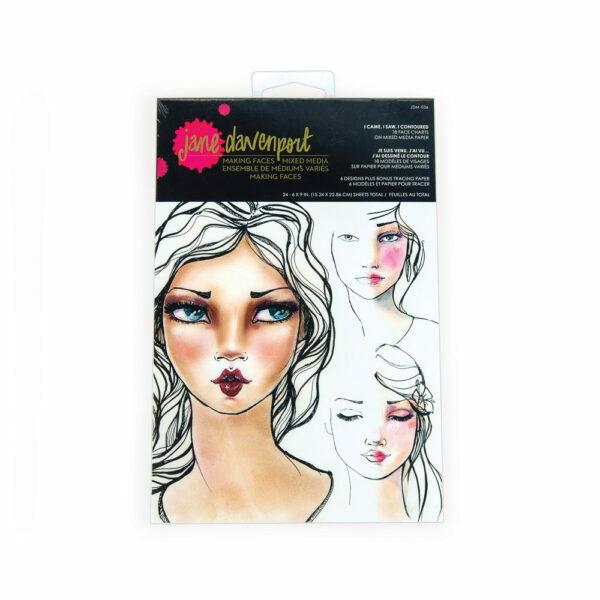 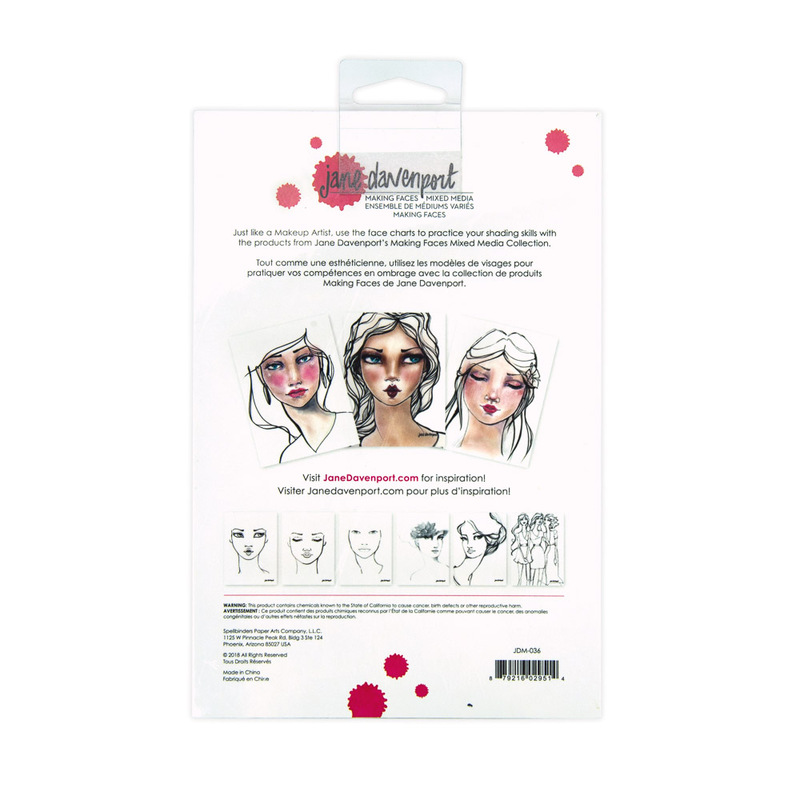 The paper pad includes a detailed set of directions on how to color and contour your face charts! 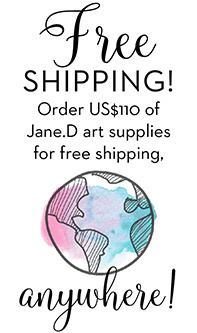 Categories: Supplies, Jane Davenport Making Faces, Surfaces.